We are Imogen Checketts and Kate Dumbleton, professional horticulturalists from the UK who are now based in Caunes-Minervois in the Languedoc, France. We produce, sell, design and plant beautiful combinations of perennial flowers, grasses and shrubs for people and wildlife in a Mediterranean climate. Please call or email us if you’d like us to work for you. Former Head Gardener at Pensthorpe Wildlife and Gardens (www.pensthorpe.com) Imogen has a FdSc. in Horticulture and Garden Design and a BSc. (Hons) in Landscape and Heritage. 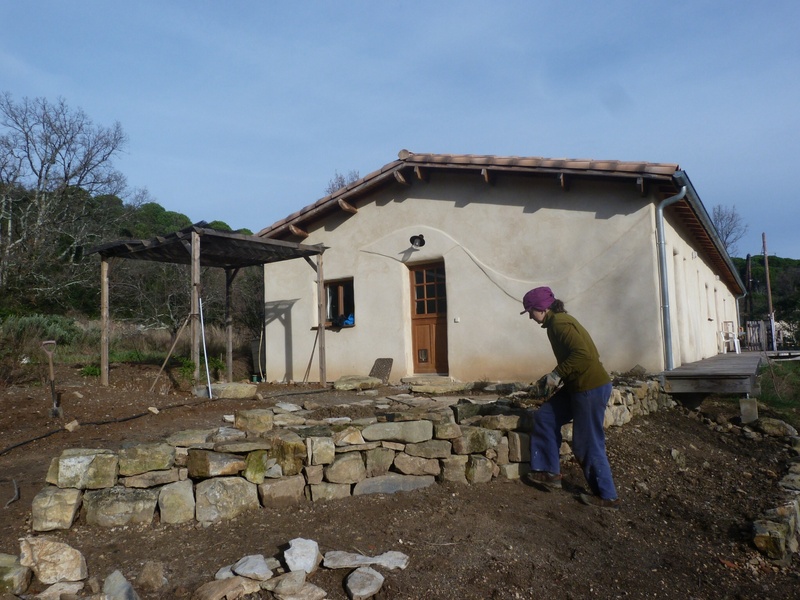 Imogen is a member of the PGG (Professional Gardeners Guild) and the MGF (Mediterranean Gardening France). 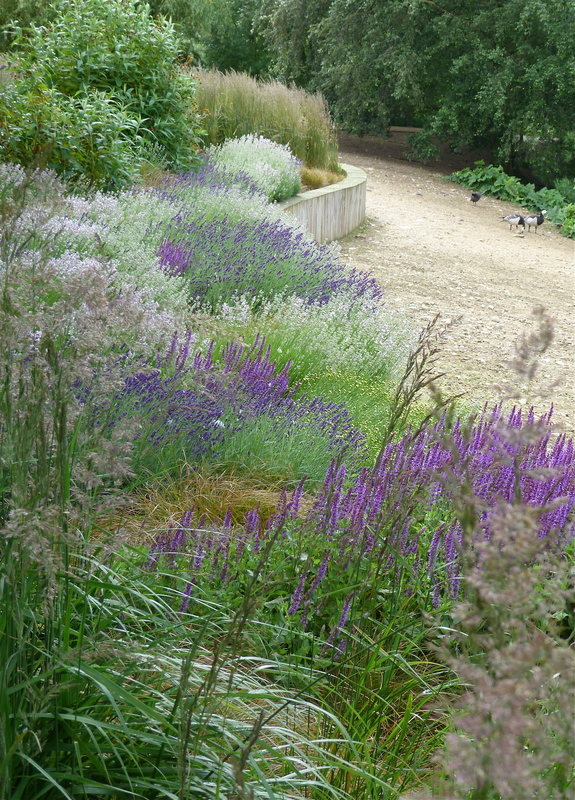 Having previously worked as a chef, Imogen’s work over the past 15 years has included working alongside the garden designer Piet Oudolf, redesigning and planting his first UK public garden; working at Osborne House for English Heritage; and working at a specialist tree, shrub and perennials nursery. Imogen has worked with the BBC’s Gardener’s World team which filmed Pensthorpe’s Millenium Garden, and advised the BBC’s Spring Watch programme which filmed wildlife in the different gardens at Pensthorpe for 3 consecutive years. 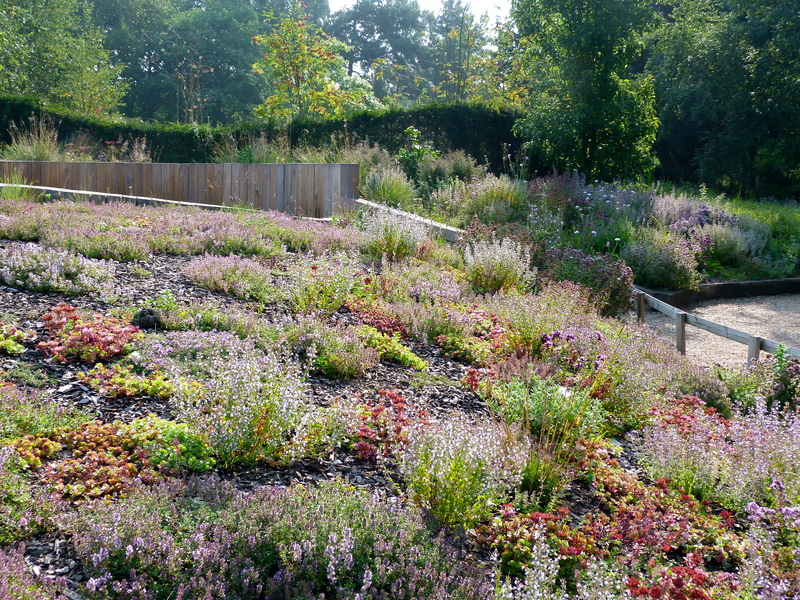 Her horticultural interests are in mixed perennial and grass planting, planting for wildlife and dry gardens, as well as woodland habitats and edible gardening. 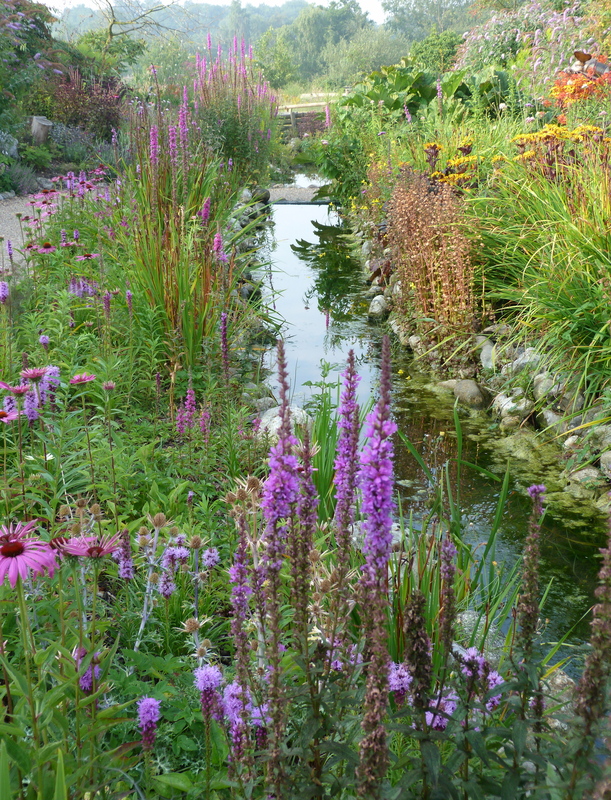 Imogen designed and built the new Wave Line Garden, the Wildlife Habitat Garden and has extended the original Millenium Garden at Pensthorpe. Always a keen gardener and having spent a year working on organic gardens in Australia, Kate retrained in 2011 to gain a double distinction at Level 3 in Horticulture at the Nottingham Trent University’s Brackenhurst college. She is also a member of the Mediterranean Garden Society. After winning the top student of the year award (The Peter O’Dell Trophy), Kate worked at STAA in Nottingham, managing a new heritage demonstration garden on a Grade II* listed site of 600 detached pleasure gardens, and the Hanbury Botanical Gardens in Italy. Kate is also qualified in Permaculture Design and a keen member of Ecoworks community gardens, the St. Ann’s Community Orchard and the Friends of Brackenhurst’s Victorian Walled Garden. Previously, Kate worked in social research and project development for www.barkerlangham.co.uk cultural heritage projects, the RSWT’s Local Food programme www.localfoodgrants.org and ERDF and LSC environmental programmes. Kate has a first degree in French (with Japanese) and a Master’s Degree by research in French, both from Nottingham University. In June 2013 we took a sabbatical year to learn more about Mediterranean gardening, and we never looked back. We started in the Aquitaine, worked at a plant nursery near Auch, at Gill Pound’s specialist nursery http://www.lapetitepepiniere.com/ in the Minervois, with members of the Mediterranean Garden Society in the Languedoc and Provence, built our first ‘terrasse vegetale’ in the Cevennes and a second in Montpellier, gardened on terraces in the Vaucluse, and ended the year with 3 months at the Hanbury Botanical Gardens just over the Italian border from Menton. Our best moments from our sabbatical year include running down the Pyla dune at Arcachon; taking the long route up the Pic du Midi de Bigorre under 6 soaring vultures; wild swimming with grass snakes and swallows in The Gers; making bouquets for Mauvezin market at a perennial flower nursery; seeing street and park planting for biodiversity and no watering in Auch; finding rare wild orchids and seeing Iris, Asphodels, Sages, and Echinops in the wild; eating pizza with potato and crème fraîche on it; visiting the pesticide-free Filippi dry plant nursery; hiking in the acorn-covered, rolling hills of the Cevennes; and seeing a troop of wild boar running across the plains of Pompignan; reinstating the Salvia terraces overlooking the blue sea at Hanbury Botanical Gardens; snorkelling after work to watch Octopuses and Moray Eels; discovering the long-abandoned Angst Grand Hotel in Bordighera; and of course gelato! Love your Blog – look forward to meeting up with you soon! Thank you for reading! It’s all a bit new so it’s great to have a comment. A bientot! So good to meet you last week, and thank you for the work you did in my garden!! It’s been such a boost and I’m amazed at all you managed to accomplish in one day!! Thank YOU! Your storytelling is great and I enjoy a lot the atmosphere one can feel in it. Sounds like you are living the dream! Working hard and playing hard. Glad to have found you – only on the net so far but I will keep you noted for forays to the South!